You want a copywriter with experience, knowledge, and expertise in your market niche. If your market niche is in the sports, fitness, or alternative health areas, you are in luck. Because I have what you need. I have been a YMCA aquatic director for more than eight years and two additional years working in public recreation aquatics, as well as being a small center director, coaching kids in softball, football and basketball. As a Y program director, not only did I (and still do) maintain good fitness, but helped other Y staffers with their programs in sports and fitness. As a pastor and communicator I know the importance of having thoughtful editors in my life who can give a helpful and careful critique of the oral and written mediums that I work with on a daily basis. Sally is just such a person. She has diligently studied the craft of copywriting. Along with this technical expertise, she has the personality and giftings to come alongside those who need copywriting and editing skills. She exhibits balance of patience and precision that is necessary for such tasks. She is hardworking, diligent, careful and helpful in such tasks. Recently, when we as a church, were looking to expand a ministry area to our community it was Sally who did the research, consulted with community agencies and interviewed, wrote and edited the news releases and community briefs that spotlighted our ministry in the community. We were very thankful and Sally produced a professional product. And along with actively leading and teaching, marketing those programs was a major part of my job. I’ve created many brochures and flyers promoting swimming lessons, water aerobics, lap swimming and Arthritis Foundation Water Exercise. Also, I crafted flyers for my recreation programs. Additionally, for the past 10 years I have been involved with alternative health measures for myself and my family. I have become very well versed in the field and stay abreast of, the terms, new discoveries, and benefits of alternative health. 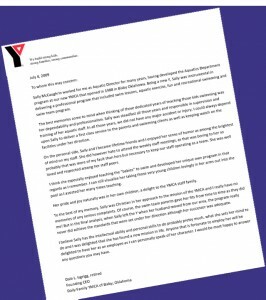 The marketing I did for recreation and the YMCA gave me a desire to learn more about marketing. American Writers and Artists Inc. (AWAI) has given me the courses I needed to perfect my knowledge. 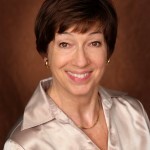 I would like to recommend Sally McCaughrin to you without reservation. I have known Sally for several years through church. Sally is a hard worker and has impressed me with her diligence. She is always willing to do whatever is asked of her and to do it with enthusiasm. I have had the pleasure to work with Sally on our College Lunch Program. We prepare and serve meals to our college students. Sally is always willing to do any job that needs to be done. She has a great sense of humor and we always have a good time of fellowship when we are working in the kitchen. Sally always has a wonderful attitude and wants to do whatever she can to help others. She is honest and trustworthy. She is organized and keeps her goal in mind. AWAI has provided an in-depth knowledge of copywriting in various forms. I have excelled in online copywriting and business to business (B2B) writing. 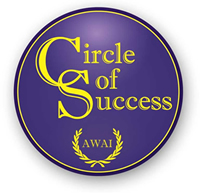 And AWAI keeps its members abreast of all forms of copywriting with ongoing workshops, seminars and courses. I’ve been taught, encouraged and mentored by the giants of the industry, including: Joshua Boswell, Michael Masterson, John Forde, Will Newman, Jay White, Nick Usborne, Steve Slaunwhite and many others. Sally’s work as our media representative was also instrumental in revealing the tremendous work of our talented band students. Her emphasis on how participation in band not only produced trophies for the kids, but made them an integral part of school life was extremely important. She also helped educate our community that band can teach our kids lessons that they carry with them in their future activities both in college and beyond…Her talents transcend her strong abilities as a writer. Sally’s perspectives and beliefs enable her to use her talents and creativity to make a positive difference in her community. All of this adds up to a skilled marketer and copywriter who has tremendous practical background and knowledge of water sports, fitness and recreation along with the alternative health field. Being familiar with the issues, challenges, terms, problems and most of all the benefits that sports and fitness provide people, and how alternative health measures can help then as well, makes me the copywriter you need. I have a strong work ethic, and adhere strictly to deadlines. And here is a recommendation letter from the founding CEO of the Bixby, Oklahoma YMCA, who served as my supervisor while I was there.